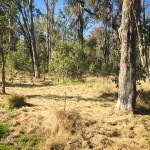 Doonside Crescent Reserve is a large patch of Cumberland Plain Woodland wedged between housing developments. 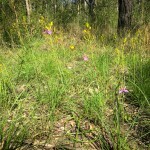 Despite being a patch of isolated and fragmented bush, the site contains a high biodiversity of native species that are now coming into bloom. 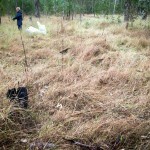 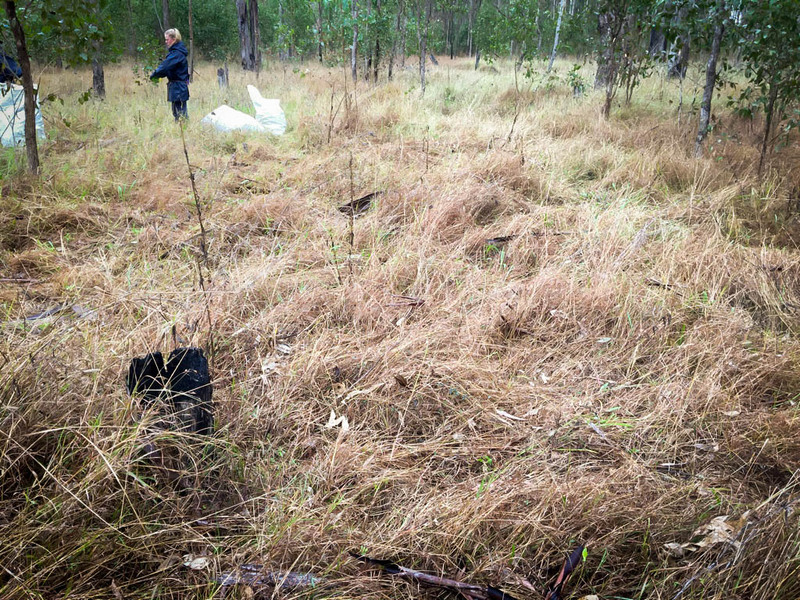 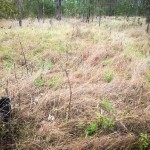 Our work in the reserve was a mixture of APZ works and bush regeneration, primarily focused on removing herbaceous annuals such as Fireweed (Senecio madasgascariensis) and Farmer’s Friend (Bidens pilosa), whilst also removing large clumps of African Lovegrass (Eragrostis curvula) and Paspalum Grass (Paspalum dilatatum) in areas of good bush. 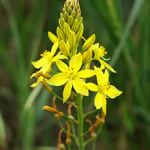 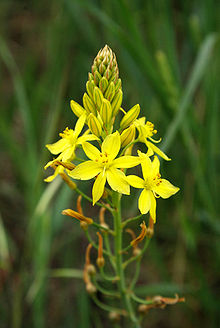 Currently the site is a sea of yellow blooms due to the reestablishment of the stunning native Golden Lily (Bulbine bulbosa) as a result of our crew’s hard work in removing Fireweed (Senecio madagascariensis) which previously dominated the site. 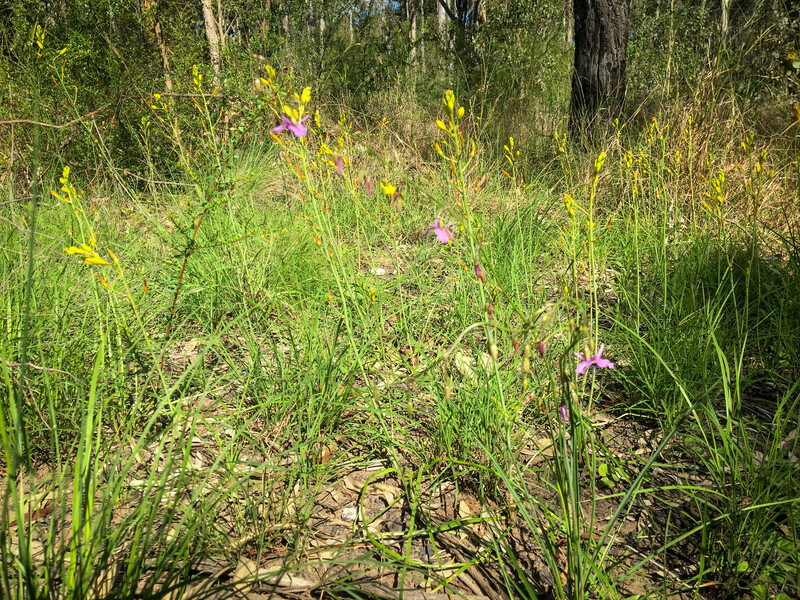 Not to be outdone, a range of lilies are coming into bloom ranging from the vanilla scented Arthropodium spp., to the small but spectacular Wurmbea dioica. 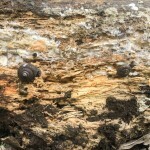 Our major success on the site was the placement of habitat logs for insects and fungi. 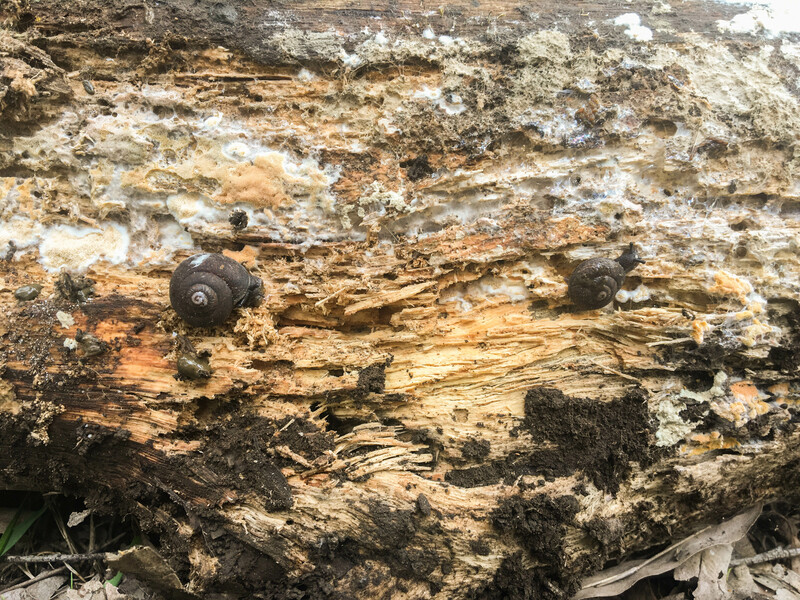 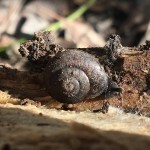 Within a couple of months we observed the endangered Cumberland Plain Land Snail using the logs to breed whilst termites, ants, skinks, centipedes, millipedes and grubs have also made their home underneath our logs. 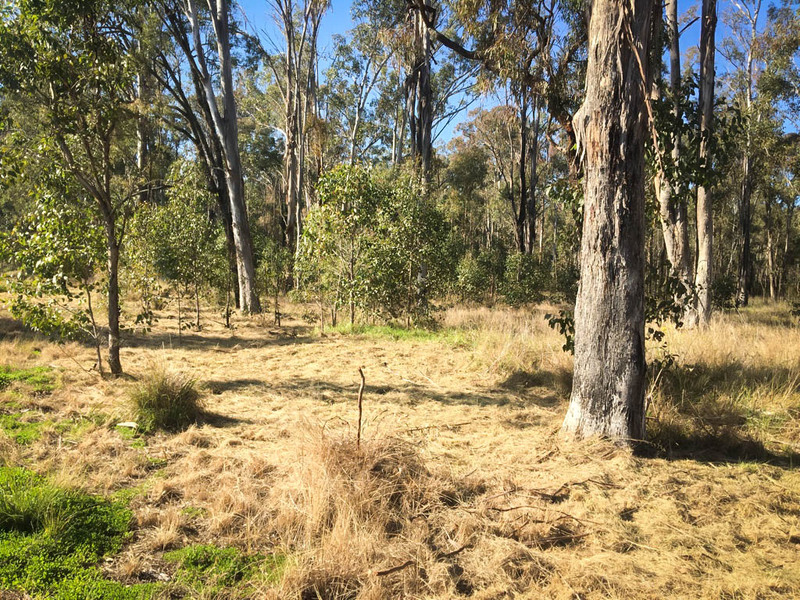 We have had great success in thermal weeding across the site, stimulating native seed germination with many varieties of lilies regenerating as well as Calotis cuneata, and a wide range of grasses benefiting from the work. 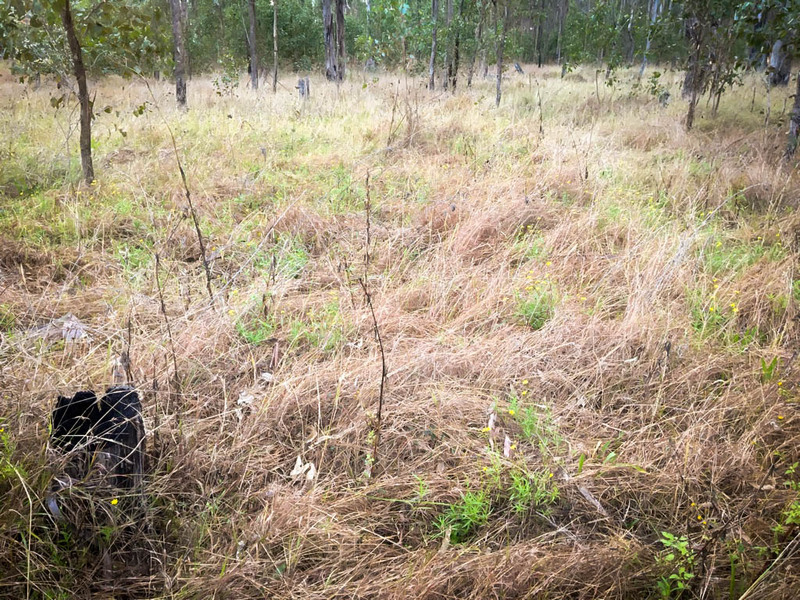 The APZ is firmly established, and we even had some regeneration of native species after spraying African Lovegrass (Eragrostis curvula), with the small herbs including Vittadinia pustulata and Wahlenbergia sp. 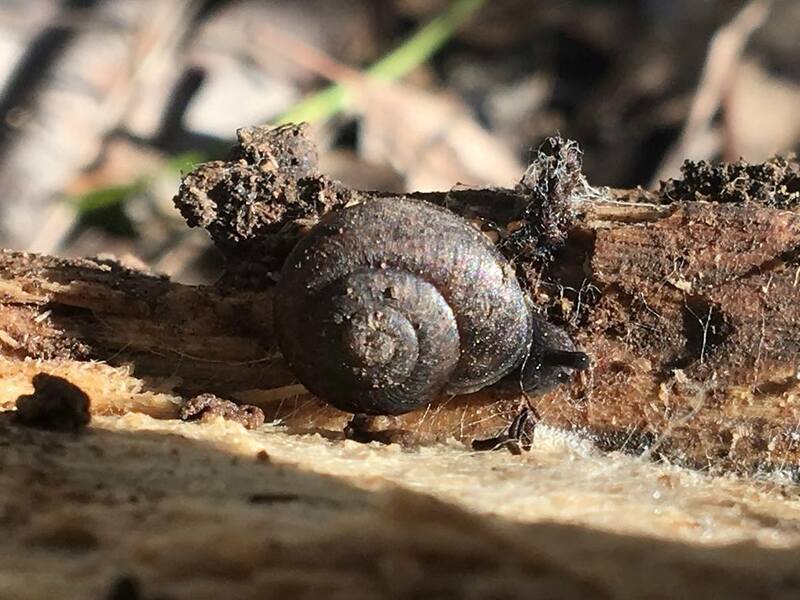 making an appearance. 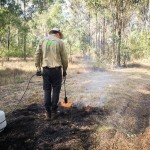 There is still a lot of work to do onsite, but we are heading in the right direction with the site improving after every visit. 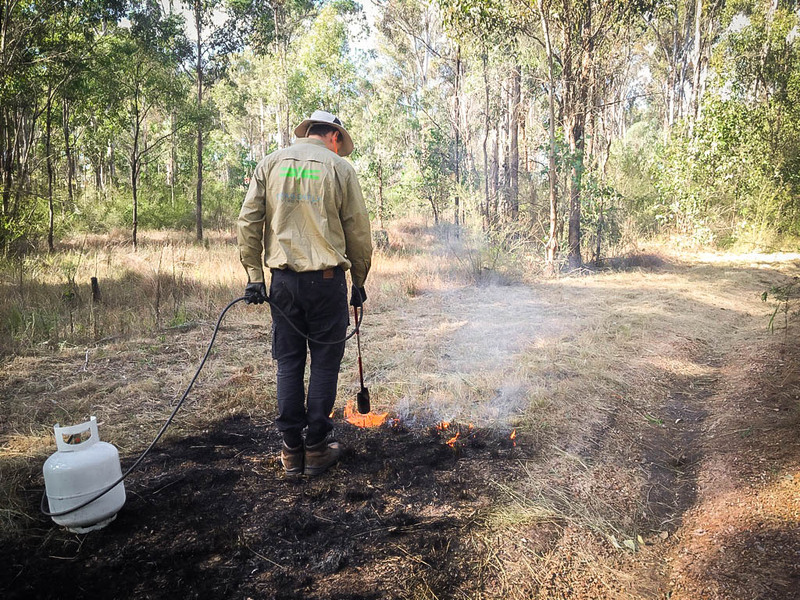 For more information on our bush regeneration services call us on (02) 9918 4486 or email us at contact@dragonflyenv.com.au.